Disruptor brands are taking share from established brands for two reasons. In this article, we're going to unpack both of these reasons. THESIS #1: Disruptor brands are usually not product inventors, they're performance marketing innovators. Warby Parker didn’t invent glasses. Quip didn’t invent the electric toothbrush. Forbes: Sucker Punched By Retail Disruption: Can Big Consumer Brands Reclaim Market Share? 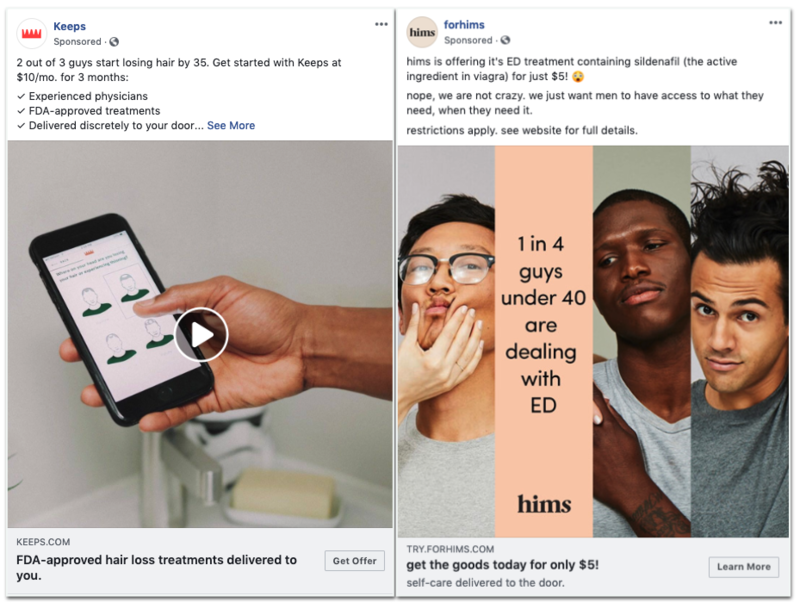 The Cofounder of Keeps, a men's hair loss treatment product, even said on stage at a recent conference that 80% of their customers come through paid Facebook and Instagram ads. Here's another reasons disruptors are killing big brands: Most large brands drive “Reach & Awareness” as an objective, whereas disruptor brands focus on “Conversions” as an objective. Disruptor brands achieve this objective by using conversion creative that’s always on. Whereas most big brands, especially CPG brands, flight media spend for weeks/months at a time, but their products address issues that happen at all times. 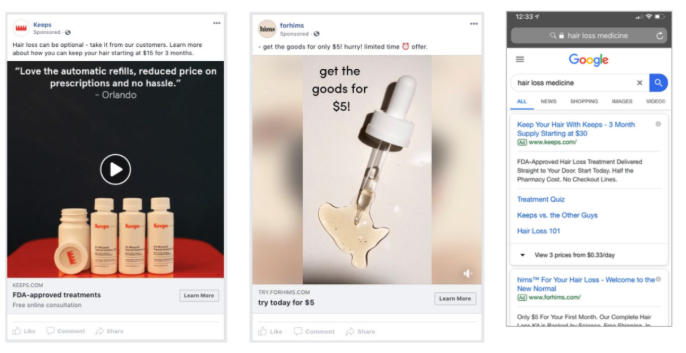 In fact, in many disruptor Facebook/Instagram accounts we manage, there will be different objectives, account structures, bidding strategies, and targeting methods for Disruptor media buying. Take hair loss, building on the Keeps quotation from above. Buying hair loss in public is quite different than private. 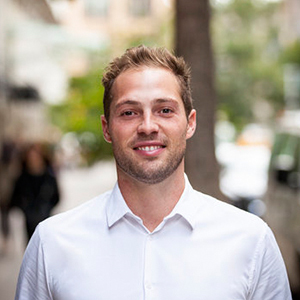 Keeps and their competitor Hims deliver in non branded packaging, because consumers don’t want other people to know they’re losing their hair, or buying products to help alleviate such sensitive problems. Or take traveling abroad, building on our previous post about Jen Rubio's online class on direct to consumer marketing. Away Luggage is a company that focuses on solving every problem in the travel experience. Their team understands the nuances and context about their consumers' behavior when they are traveling, from what happens when people land to what is the first thing travelers do in their hotel room. No wonder Away’s built in washable laundry bag and phone charger on the suitcase make for such a disruptive experience. Samsonite never thought of that. Away didn't need to invent luggage, they just need to identify gaps in the user experience of buying it, and create a brand that helped fill them in a way that appealed to a new generation of travelers. FINAL QUESTION: What can big brands do about this situation? Three solutions: Crawl, Walk, Run. Build and launch disruptor brands. Use the incubator as marketing R&D that has the potential to be a revenue driver. Metric Digital not only powers marketing for the best, most disruptive D2C ecommerce brands, but we also consult with Fortune 500 and legacy brands on how to protect themselves from being disrupted. If you'd like to learn more about how your brand can take its share of the pie through performance marketing, contact us here! Fashion Isn’t Old Fashioned: How Apparel Brands Are Driving Growth With Marketing Technology Retail brands need to be future minded. If they don’t adapt to this evolving landscape and embrace the digital turning point of the fashion world, they’ll be left on the factory floor. 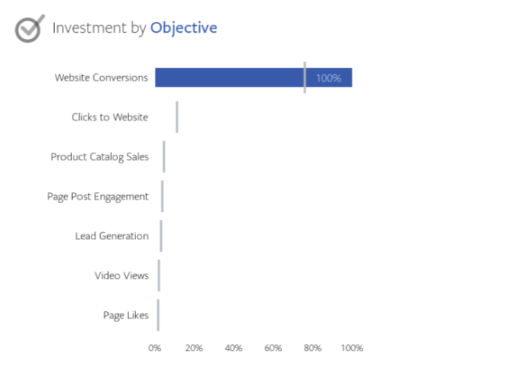 How We Audit Ecommerce Email Marketing Programs We share our approach to audit the quality of a client's email marketing program. How Much Are You Paying To Learn About Your Customers? Performance marketers can use ads to get smarter, quicker. If you leave no lead unlearned, you can use that traffic to supplement your data, and arrive at your goal more quickly.